Ala Moana Mall is the largest shopping mall in Hawaii. Not only that, but it is the fifteenth largest shopping mall in the United States and it is the largest open-air shopping center in the world. When the mall opened in 1959, it was the largest mall in the United States with a total leasable area of 2,100,000 square feet. 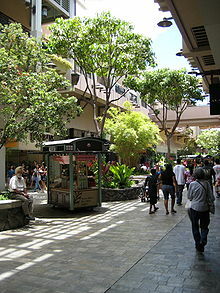 In 2009, the Ala Moana Mall was reported to be the second most profitable mall in the United States with annual sales of more than one billion dollars. In the early 2000’s, the mall went through a major renovation and expansion with the intent on making the mall more modern and more of a destination for tourists. 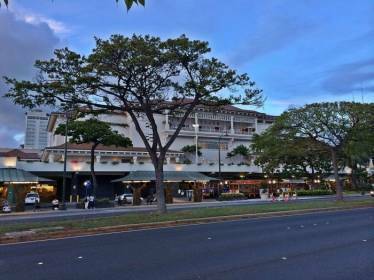 Ala Moana Mall announced that they would be expanding an entire multi-level wing totaling approximately 650,000 square feet. The EWA Wing Expansion consists mostly of space for additional department stores, but also includes an additional 1,000 parking spaces in the Mauka EWA Parking Structure. The expansion included a 167,000 square foot Bloomingdale’s department store and an 186,000 square foot Nordstrom’s. The expansion is scheduled to be completed and ready to open in late 2015. In late October of 2013, Portland Bolt was contacted in regards to the anchor bolt requirements for this project. Being that a majority of the anchor bolts required were high strength and hot dip galvanized, Portland Bolt’s manufacturing capabilities seemed to fit the need of the contractor perfectly. More specifically, the anchor rods required ranged from ¾” diameter to 1-1/4” diameter. As mentioned earlier, they were hot dip galvanized and needed to be manufactured to the F1554 Grade 36, F1554 Grade 55, and the F1554 Grade 105 specification. In total, the estimated weight of the anchor bolts shipped to the jobsite exceeded 15,000 lbs and consisted of shipments from November of 2013 through February of 2014. In addition to the required configuration, there were also special packaging requirements for this particular project. Since they were traveling via ocean barge to Honolulu, Hawaii, it was required that all of the anchor bolts be packaged in custom wooden pallet crates and specially labeled so that there wouldn’t be any confusion when the shipment reached the jobsite.